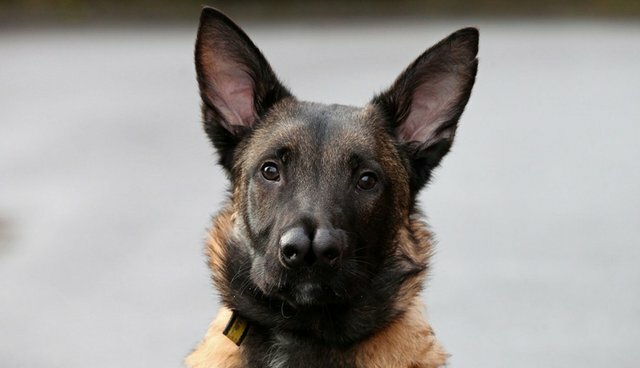 Snuffles looks just like your average Belgian Shepherd -- except for the fact that he has two noses. The five-month-old puppy was rejected by four owners because of a rare congetial defect, which left him with a pair of noses instead of just one. But now, after being rescued by the Dogs Trust shelter in Glasgow, Scotland, Snuffles finally has a new home. Pamela Jackson, who runs Dogs Trust, was disheartened to find that nobody seemed to want to adopt Snuffles, so she launched a campaign to find him a suitable family. "People were contacting us from the USA and South Africa as well as Britain," Jackson told the Daily Mirror. "Some families just turned up hoping to adopt him. [But] we wanted to pick the best home for him." Jackson agreed to meet prospective new owners before accepting an adoption offer, and she feels that Snuffles has found a good home. "The eventual new owner took him for a walk to get to know him and they got on brilliantly," she said. "He said Snuffles was perfect and everything he was looking for."